Are you a member of a community? If you really think about it, we are probably all members of many communities. The obvious ones are neighborhoods or towns that we live in or perhaps the schools we attended. While the less obvious are the “I mow the lawn Saturday morning” community, or possibly the “I secretly read Star Wars(TM) fan-fiction” community! What about ecosystems? Bit tougher, isn’t it! Heading in to the #QBConnect conference last month I was a bit naive about about what to expect. 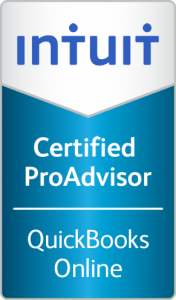 Having been a QuickBooks user for over 10 years I was certainly aware of the community of users that @Intuit has built over the last 2+ decades. Being a recent adopter of the Intuit App Center meant I was surely aware of a developer community building new functionality into QuickBooks? And the ProAdvisors! How could I possibly have overlooked the resiliency of such a dedicated community! QuickBooks ProAdvisor QBO LogoWhat I did not anticipate was the complex ecosystem that has risen from these groups! As a technologist and business owner, the level of interaction was impressive on so many levels. Seeing other business owners and ProAdvisors communicate their pains and the interaction with such passionate developers that want to build great tools was awesome. Different backgrounds. Unique perspectives. One Goal! I thought the title above was most appropriate given the recent release of a certain science fiction franchise, but it really rings true for so many QuickBooks users out there that find themselves without answers. It also holds meaning for us here at collbox, because we too need your help.